Cardians are a combo deck based upon mass swarming to bring out strong Synchro monsters. This deck relies heavily upon luck and draws, and as such it can be difficult to really nail down any specific plays. The goal of this deck is to take full advantage of Lightshower and Lightflare, preferably on the field at the same time, to overwhelm the opponent with strength and perseverance! The basic function of this deck is simple and based heavily on Japanese playing cards. You start by summoning low-value monsters with ease (with 100/100 stats; for this guide called "Normies"), then replace them with higher value monsters (called "Nomies") to establish your board's strength and enable your synchro plays. While this deck relies heavily on luck, it still has the potential to not only make incredibly strong fields, but do so with absurd amounts of value. The importance of this guide is to show one can take full advantage of these cards, minimize their reliance on luck as much as they can, and learn how one can ENJOY. Another big barrier with this deck is there are a lot of cards to read and understand, and it be difficult to know what they do and how many to put into your deck. Hopefully with this guide, it will be easier to understand what each card does, what their role in the deck is, and how many to run. Flower Cardian Pine - Level 1 Flower Cardian Pine lacks a Special Summon clause, but does not require Tributes to be Normal Summoned. Flower Cardian Pine's effects are as follows: When Normal Summoned, you draw 1 card, reveal it, and send it to the Graveyard if it is not a "Cardian" card. If Pine is destroyed by Battle or Card Effect, it allows you to draw 1 card. Seeing as this card has the lowest level and is it the easiest to summon, it is crucial for kickstarting plays. Run 3 copies. Flower Cardian Zebra Grass - Level 8 Flower Cardian Zebra Grass can be Special Summoned if you control a Level 7 or lower Cardian monster. When Special Summoned, Zebra Grass allows you to shuffle any number of "Flower Cardian" monsters from your hand into the deck and draw an equal number of cards shuffled. Zebra Grass's effect is useful in a pinch, but not always. To reduce the deck's clutter and help consistency, run 1-2 copies. Be advised, running 1 copy can risk Flower Gathering's consistency as you need all 4 "Normy" Cardians in the deck to be able to use that card. I recommend 2 copies. Flower Cardian Willow - Level 11 Flower Cardian Willow can be Special Summoned if you control a Level 10 or lower Cardian monster. Willow can, once per turn, shuffle a "Flower Cardian" monster from your Grave into your Deck to draw 1 card. Willow's level working with one of the deck's tuner as well its recycle effect being not only a nice, non-restricted draw but allowing you to keep Flower Gathering live throughout the game is absolutely crucial to the deck's function and most of this deck's combos center around using this card's effect as many times in a turn as you can. Run 3 copies. Flower Cardian Paulownia - Level 12 Flower Cardian Paulownia can be Special Summoned if you control a Level 12 or lower Cardian monster. This is the first Level 12 monster that can be Normal Summoned in the game. Paulownia's effect is that if it is attacked, you can negate the attack, draw 1 card, and end the Battle Phase. While this effect is useful in a pinch, it's not always going to work out. Like Zebra Grass, run 1-2 copies. Once again, Flower Gathering requires all 4 Normies to be in the deck to use, so running 1 copy runs the risk of making that card dead. I recommend 2 copies. Cardian Nomies are split into 2 tiers; those with 2000/2000 stats, and those with 1000/1000 stats. None of the Nomie Cardian monsters have xenophobia clauses upon summon, and (with the exception of Cherry Blossom with Curtain) are summoned by Tributing a certain "Cardian" monster. Each Nomi is a Semi-Nomi monster; meaning they must first be properly Summoned by their conditions before they can be Special Summoned by alternate means (specifically, if they are banished or in the Graveyard). These are the Tier 1 nomies. These Flower Cardian monsters are Special Summoned by first tributing a Cardian with a matching Level. Each of these Nomis share the effect of drawing a card on summon, revealing it, and if it is a Cardian monster, either adding it to your hand or Special Summoning it immediately if you are able to (otherwise it's sent to the Graveyard). Each, except Willow with Calligrapher, has an alternate means of drawing cards through the Battle Phase. Flower Cardian Pine with Crane - Level 1 if Flower Cardian Pine with Crane attacks or is attacked in a Battle Phase, at the end of that Phase, you can draw 1 card. Pine has the easiest draw requirement to achieve and benefits from working off of a Flower Cardian monster you use in roughly half your combos. However, the requirement of needing a specific monster to tribute in order to Summon this card hurts your consistency. Run 0-1 copies. Flower Cardian Zebra Grass with Moon - Level 8 if Zebra Grass with Moon destroys a monster by battle, you can draw 1 card. Not only does this one have the hardest to achieve draw clause, it works off of a monster you should only be running roughly 2 copies of. Run 0 copies. Flower Cardian Willow with Calligrapher - Level 11 Willow with Calligrapher is one of this deck's 2 tuner monsters, and lacks an alternate draw clause. Willow with Calligrapher allows you to treat all monsters you use for a Synchro Summon with this card as Level 2. Not only is this card a tuner that enables you to go into the deck's main boss monsters, but it works off of a Cardian monster you will be using very frequently in as many combos as you can. Run 2-3 copies. Flower Cardian Paulownia with Phoenix - Level 12 If Paulownia with Phoenix deals battle damage, you can draw 1 card. While this card's draw requirements are simple, it suffers the same issue as Zebra Grass with Moon; it works off of a monster you should only be running 2 copies of and won't be using very frequently. Run 0 copies. Flower Cardian Cherry Blossom with Curtain - Level 3 Cherry Blossom with Curtain is unique; this Cardian can Special Summon itself by activating its effect from your hand: You draw 1 card, and if it's a Cardian monster, you Special Summon this monster with no added Xenophobia clause (you can use this card for Rank 3 Xyz Summons). Cherry Blossom also acts as a Kalut; letting you discard it from your hand during battle to give a Cardian monster 1000 ATK until the end of the turn. Not only is this card very crucial in getting plays rolling (as crucial as Pine), the Kalut effect is very useful; run 3 copies. Flower Cardian Peony with Butterfly - Level 6 If you draw a Cardian monster off this card's summon effect, you are able to look at the top 3 cards of your opponent's deck, and re-arrange them in any order on the top or the bottom. This card is a tuner monster and shares the same level clause as Calligrapher. Because this monster does not require a specific Cardian to tribute for its summon, as well as being a tuner, you absolutely need to run this card at 3 copies. Flower Cardian Clover with Boar - Level 7 If you draw a Cardian monster off this card's summon effect, you can destroy one monster your opponent controls (does not target). Useful in a pinch and lets you draw into your deck to keep plays going. Run at 1-2 copies. Flower Cardian Maple with Deer - Level 10 If you draw a Cardian monster off this card's summon effect, you can destroy 1 Spell or Trap Card your opponent controls (does not target). Just like Clover, this card can be incredibly useful in a pinch and lets you draw into your deck to keep plays going. Run at 1-2 copies. Boardefly's stats prevent it from being a monster you can rely on for main plays. Its piercing effect blankets all Cardians and becomes useful in some situations; however the main draw of this card is being able to lock your opponent's grave in a manner similar to Necrovalley until the end of their next turn. While you may not use this card too often, it absolutely shuts down some decks that rely on the grave. Run 1-2 copies. Once per turn: You can activate this effect; skip the Draw Phase of your next turn, also draw 1 card, and if you do, show it, then you can Special Summon it if it is a "Flower Cardian" monster, ignoring its Summoning conditions, and if you do, it can attack directly this turn. When this card is used as Synchro Material, you can treat it and all other Synchro Materials (that have a Level) as Level 2 monsters. Moonflower sits at the same stats and level as Boardefly, but has the advantage of being a tuner. The key to Moonflower's value lies in that her effect lacks a hard once-per-turn clause, meaning its effect can be repeatedly used in a turn so long as you can keep summoning copies. Moonflower's strength lies in just that: extending combos far beyond their natural life and adding additional draws to your current plays. While this isn't a monster you'll be leaving on the field for the opponent's turn, it's still an amazing card nonetheless. Absolutely run at 3 copies. ● Skip the Draw Phase of your next turn. ● This card has its other effects negated until your opponent's next Standby Phase. Flower Cardian Lightshower is the bread and butter of this deck; with good protection that blankets all of your Cardian monsters, strong stats, and a good burn; this card becomes the go-to ace in a lot of situations. Be wary of the Draw Phase skip, and only use it if you're confident you don't need your Draw Phase and/or your opponent has cards or effects that could potentially harm your plays on your next turn. Run 3 copies. Once per turn, during either player's turn, when your opponent activates a Spell/Trap Card: You can negate the activation, and if you do, destroy it. If a "Flower Cardian" monster you control battles an opponent's monster, that opponent's monster has its effects negated during this Battle Phase only. If this Synchro Summoned card is destroyed by battle, or if this Synchro Summoned card in its owner's control leaves the field because of an opponent's card effect: You can Special Summon 1 "Flower Cardian" Synchro Monster from your Extra Deck, except "Flower Cardian Light Flare". Obscenely strong with stats and effect, Flower Cardian Lightflare is the monster you strive to summon in most scenarios. 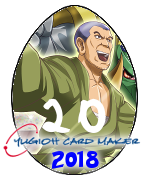 Because of this monster's float, it's still fine to summon this card on its own as it can float into Lightshower if removed from the field (except by Kaiju). Because of this monster's battle effect, monsters such as Crystal Wing and Utopia the Lightning have their effects negated when they attack or are attacked; meaning a field with this card and Lightshower at the same time becomes extremely formidable! Flower Gathering allows you to Special Summon 4 "Flower Cardian" monsters with different names and 100 ATK from your Deck in Attack Position, but their effects are negated and you cannot Normal or Special Summon non-Cardian monsters during the turn you use this card. A blatant +3 that becomes a 2-card Lightshower and a 3-card Lightflare, this card really gets plays rolling. However, you need at least 1 copy of each Normy in your deck; meaning you need to be attentive at how many copies you've used in a duel and use Willow's effect to keep this card live! Run 3 copies. Flower Stacking lets you place 3 different "Flower Cardian" monsters from your Deck on top of your Deck in any order. As well, you can banish it from your Graveyard and add a Cardian monster from your Grave to your hand (this effect cannot be activated the turn it is sent, and has a hard once-per-turn clause). This card allows you to reliably draw off of the Cardian draw effects that discard non-Cardian monsters, and lets you use Cherry Blossom with Curtain very effectively. This card acts as the "Searcher" of the deck, and must be run at 3 copies. Super Koikoi excavates the top 3 cards of your deck and Special Summon as many "Flower Cardian" monsters among them as possible (ignoring conditions; negating their effects and making them level 2), banishing the rest face-down and paying 1000 LP for each card banished this way. You can also banish this card from your Graveyard and tribute 1 Flower Cardian you control; letting you Special Summon a Flower Cardian from the hand, ignoring its summon conditions (can be used the turn it is sent). Useful for extra plays, and easily the primary Link enabler for the deck. 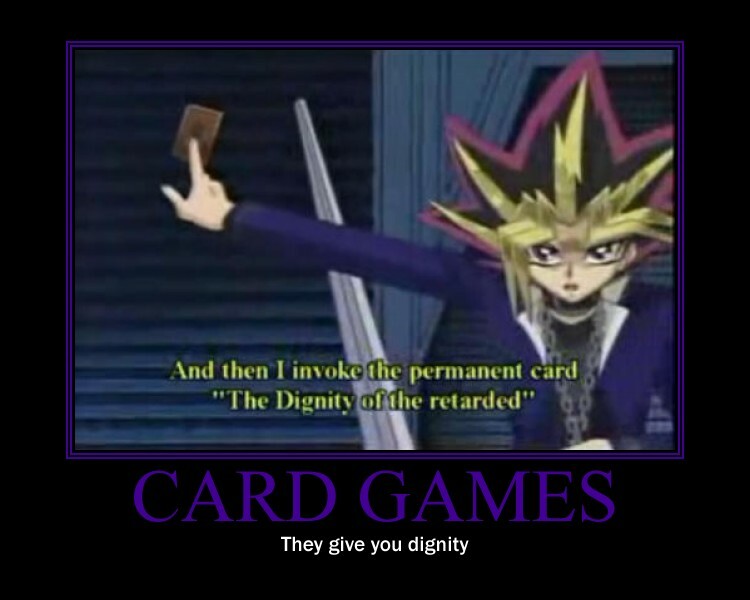 Play with a stacked deck or for blind luck for Extra Enjoy!. Run 2-3 copies. Recardination lets you add a Cardian monster from your Grave to your hand, then Special Summon any Cardian from your hand, ignoring its conditions. As well, if this card is sent to the Graveyard by a Flower Cardian's effect (if it's drawn but then sent), you can excavate the top 5 cards of your Deck, add any Spell or Trap Card among them to your hand, then replace the rest on the top in any order. This card is incredibly useful in extending plays and adds itself as 1 more card you want drawn by a Cardian's effect. Great in the hand, great sent to the Grave, and lacks any xenophobia clause. Run at 3 copies. 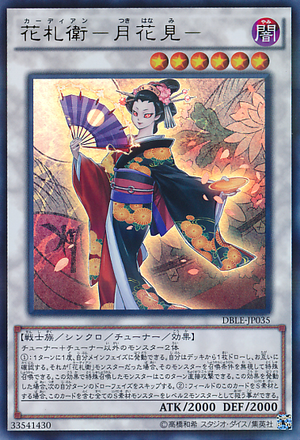 Fraud Freeze is the bad step-child of Vanity's Emptiness and Compulsory Evacuation Device; letting you return monsters Special Summoned from your opponent's hand back to their hand once per turn and self destructing if there isn't a Flower Cardian Synchro monster on the field. As far as floodgates go, this one is pretty bad. Run 0 copies. Due to the Cardian draw/discard effects, I advise as running as few non-Cardian monsters in the maindeck as you can. Because of the protection that Lightshower offers, Battle will often be the primary means of defeating your monsters. Kuribohrn lets you deny those efforts, and because it triggers at the end of a Battle Phase, bypasses Utopia the Lightening. Fun to run at 1 or 2 copies, but recommended you don't. Reasoning offers a means to more reliably summon Cardian monsters, and is difficult to stop because of the varied Levels among your monsters. However, it's limited and can burn through a lot of your deck. One for One offers another means to grab Pine from the deck. Galaxy Cyclone is a choice spell/trap remover for this deck, as it offers utility in the hand and the grave (particularly good against Pendulum decks). Card count is valuable in Cardians, and Twin Twisters can work against that at times. Don't run more than 2 copies. Breakthrough Skill can really save you in a pinch, and even if you only run 1 copy you can see this card very often thanks to the draw power of this deck. 1 copy is recommended. Allure of Darkness is practically mandatory to run at 3; be careful not to banish Normy Cardians you run only 2 or fewer copies of! Call of the Haunted is able to Special Summon the semi-Nomi Cardians after they have been Summoned properly, as well as helps you bypass xenophobia clauses. However, having too many cards that are sent to the Grave when drawn by a Flower Cardian effect hurts your consistency. Cardians have a lot of trouble playing around their Xenophobia conditions, limiting what can be placed on the field at any one time. As such, with the new rules, Cardians become a lot more focused on which order you initiate your combos. So you need to be careful to pay attention to which summons will restrict you to Cardian Summons only, and which will leave your turn open to play. If you can go into a Link Monster first, I recommend you do so before going into your other plays. If not, the deck is fairly okay standing on top of a lone synchro, so long as it's Lightflare or Lightshower. Link Monsters to run include primarily Decode Talker and Topologic Bomber. Both of these cards are rather easy for Cardians to summon, and have both link markers and effects that benefit the deck. Just be sure to play your cards well, and trust Super Koikoi to get you through the opening part of the game! This is the build I currently use, and highly recommend as not only a good starting point for learning the deck, but also as a solid build in general. Keep in mind that there's a lot of freedom in the build's numbers, so feel free to toy with the cards or even go above 40. This can be a complicated deck to learn, if for only one reason because of how many cards there are to know. But do not be discouraged! This deck is very fun to pilot, and once you get the hang of its effects and cards can become a solid contender. Thank you for reading my guide, and remember: ENJOY! Where does the newly-released Synchro fit into the Deck? Thanks for catching that! I meant to update this a while ago, but kind of forgot to. The guide has been updated, as well as a couple image fixes in the Extra Deck area as well. Guide has been updated to include Link Monster rules! Wouldn't making Topologic Bomber Dragon floodgate yourself? You would only be able to Special Summon to 2 out of your 5 Main Monster Zones without triggering the nuke.